Discover the amazing range of Christmas Decorations on offer this year at Partyrama. Decorating your home and party venues has never been easier with the joyful selection of decorations we have specially picked out for you to choose from. Hanging decorations are always essential when it comes to adding some Christmas flair to your home, and add to this some cheerful window decorations to give your home a wonderful festive feel. If you’ve not seen our scene setter room rolls before, you’re in for a treat! Easy to hang, they cover your entire room, turning plain walls into an incredible Christmas backdrop that is amazing for taking photos and really setting the mood. 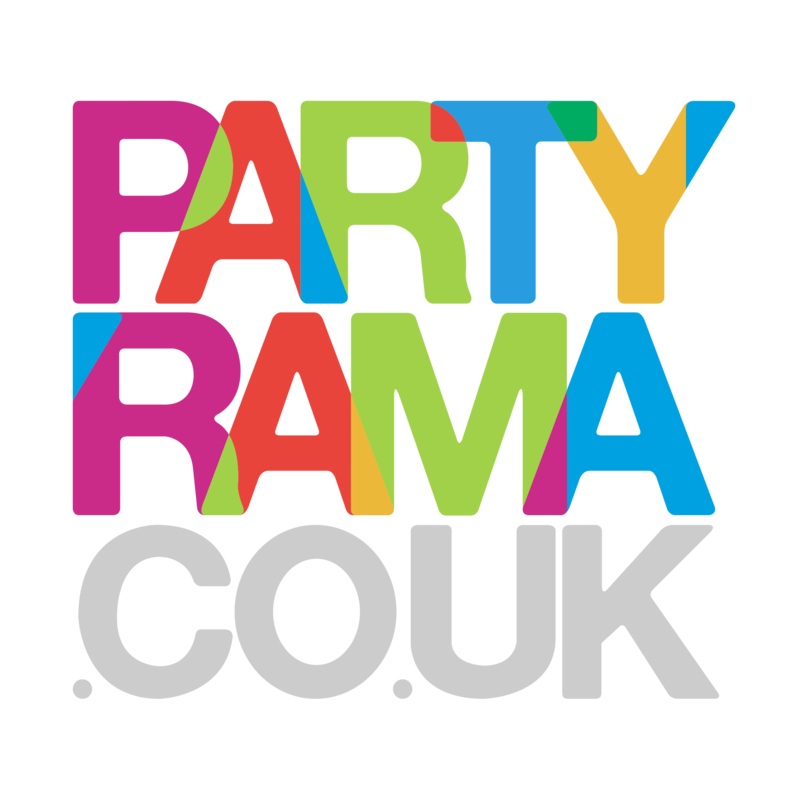 Traditional extras include tinsel and baubles, Christmas banners, table decorations, crackers and poppers, all at the low prices you know and love from Partyrama. Christmas balloons are another striking way to add some extra Christmas flavour to proceedings, while lifesize cutouts, Christmas trees and decorations, door curtains and posters, stockings and fillers and Christmas fancy dress will help you accessorise and add those finishing touches of detail which Christmas is all about! Why not create some amazing personalised Christmas party supplies to give this years celebration a truly unique feel? Choose from personalised banners, table confetti, photo, foil and latex balloons and much more to share your own messages of Christmas cheer to your friends and family. With a fantastic selection of decorations to choose from, whatever your plan is this Christmas we have something for you! Free delivery applies to orders over £50 to mainland UK, and we also have some extra special next day and weekend delivery services to help you out when you need it most. Create timeless Christmas memories for the whole family with the beautiful range of Christmas decorations from Partyrama. Traditional and modern styled hanging decorations for your home or venue. Transform your room into a vibrant Christmas scene with giant room rolls. Window clings, stickers, artificial snow and lots more. Transform your outdoor with vibrant Christmas lights. Traditional Christmas tinsel and baubles in a variety of colours and designs. Traditional Christmas Trees in a variety of colours and designs. Table confetti, centerpieces, table gems and more create a perfect Christmas table setting.